The Armelle dining set includes the table with six chairs. 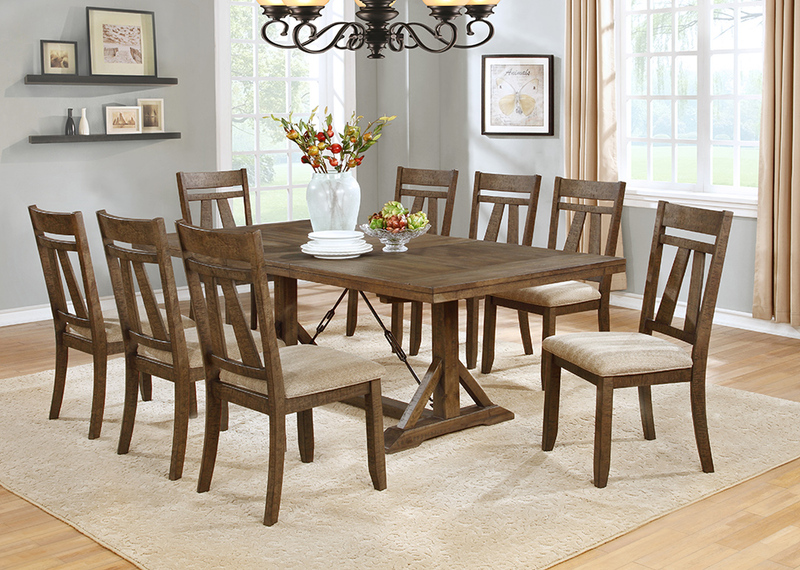 This set is in an antique brown finish with tan upholstered chairs. The table has a removable 18" leaf and pedestal legs. Perfect for large gatherings!